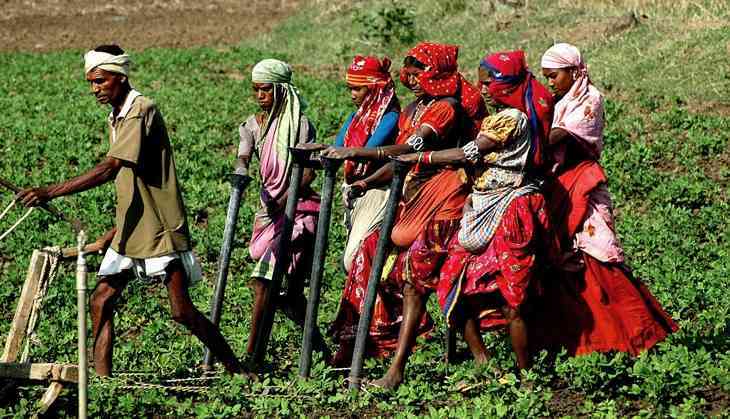 Home » Politics » Farm loan waiver: will Maha govt's political gambit cost it economically? Farm loan waiver: will Maha govt's political gambit cost it economically? Loan waiver: relief for Maharashtra farmers, boost for BJP. Will it impact possible snap polls? Desperate to end the farmers' strike in Maharashtra, the state government has announced debt waiver to marginal and small farmers. It has, in principle, accepted the demand for a blanket debt waiver, and is confident it will soon be worked out. Farmers in Maharashtra are elated by the decision, and the celebrations kicked off immediately after the announcement was made. Though a welcome decision from the farmers' point of view, it has not gone down well with economists. The decision is bound to badly impact the already crippled economy of Maharashtra. Incidentally, neither the state government nor the farmer leaders are aware of the exact amount of farm debt that is to be waived off. Going by a conservative estimate, the collective amount of farm debt due from around 3.1 million marginal and small farmers in Maharashtra is around Rs 30,500 crore. This will be waived off with immediate effect, and the government is contemplating a blanket debt waiver, with riders. The blanket debt waiver seems to be a farfetched assurance, especially considering that the forecast revenue deficit of Maharashtra for the fiscal year 2017-18 is around Rs 4511 crore. Political parties and farmers' organisations seem to have completely ignored this crucial aspect of the announcement. Experts at Bank of America Merrill Lynch (BofAML) have prepared a note on the current financial situation and farm debt waiver in Uttar Pradesh and Maharashtra. The note was prepared last week against the backdrop of the farm debt waiver announced in Uttar Pradesh, and the possibilities of the same in Maharashtra, given the farmers' strike. The note says if every state follows the footsteps of Bharatiya Janata Party (BJP) governments in Uttar Pradesh and Maharashtra, the total debt waiver would be 2% of the GDP by the 2019 polls. The note categorically says that Union Ministry of Finance will have to fund debt waiver by bonds like UDAY to limit the market impact and most importantly, the debt waivers will impact credit culture of the country. “We grow more confident of our call that farm loan waivers will spread across states after Maharashtra followed Uttar Pradesh in waiving farm loans. This begs the question, how much of farm loan will eventually be waived, US$40bn, which is 2% of the GDP,” the note says. However, Madan Sabnavis, chief economist at Credit Analysis and Research Limited, feels the state government can cope with the debt waiver totalling up to Rs 30,500 crore. “At present, the fiscal deficit of Maharashtra is 1.5% of its GDP, which is well within control. Waiving off farm debts up to Rs 30,500 crore should not be a major burden. But if the amount goes beyond it, as the government is contemplating debt waiver for more farmers, it can pose problems for the economy,” Sabnavis said. A senior economist, who did not wish to be named, criticised the practice of farm loan waiver that's gaining mileage. The BofAML, in its note, has highlighted the same issue. “The farm loan waiver is bound to impact the rural credit culture, although we recognise that a good part of farm debt arose on rural stress from poor harvest. The UPA government had waived 1.35% of GDP of farm loans in 2008. We agree with RBI governor Patel who thinks it undermines the honest credit culture, it impacts credit discipline, it blunts incentives for future borrowers to repay. This, in turn would prove counter-productive for the RBI's measures to clean up bank balance sheets,” the note says. The government has assured it will form a committee to decide the criterion for debt waiver for farmers other than the small and marginal ones. There are 13.6 million registered farmers in the state, out of which only 3.1 million are marginal farmers. These have come under the ambit of immediate debt waiver, and can apply for loans from today. While the total debt amount of marginal farmers is pegged at Rs 30,500 crore, the cost of other debts is whooping Rs 1.14 lakh crore. After meeting with Kisan Kranti Jan Andolan leader Jayajirao Suryavanshi and others last week, Chief Minister Devendra Fadnavis had ruled out blanket debt waiver worth the larger amount. The decision has prompted all the political parties, including the Shiv Sena, to claim the credit for it. Though the Opposition parties are desperately trying to grab the credit for political mileage, they have nothing much to gain. TWEET THIS Maharashtra govt announces farm loan waiver. Can the state afford it economically? Experts sceptical Loan waiver: relief for Maharashtra farmers, boost for BJP. Will it impact possible snap polls?